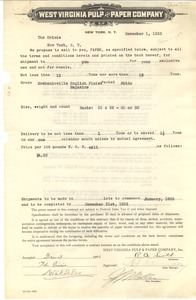 22 results found for: genres:"Contracts"
New York (N.Y.) - Amending and expanding the terms and conditions for the Company's handling of W. E. B. 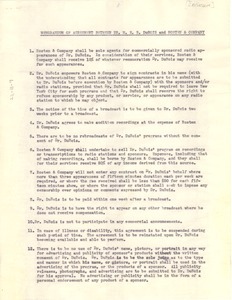 Du Bois's commercially sponsored radio agreements (see mums312-b115-i356 for the Company's original iteration, and mums312-b115-i359 for notes on its redaction). 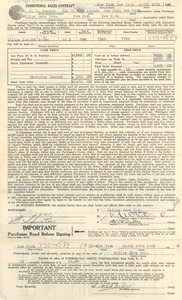 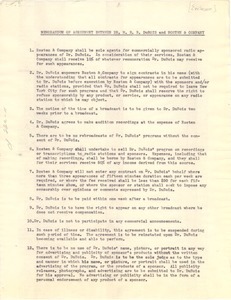 New York (N.Y.) - Signed copy of the contract regulating the Company's handling of W. E. B. 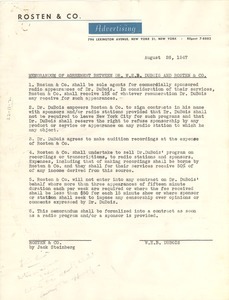 Du Bois's commercially sponsored radio agreements (see mums312-b115-i356, i359, and i347 for earlier drafts). 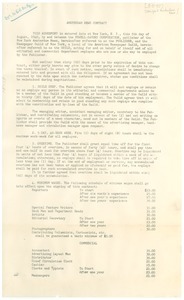 New York (N.Y.) - Establishing and formalizing the terms of agreement between the New York Amsterdam News and the Newspaper Guild of New York; regulating employees' work schedules, overtime, minimum wages, benefits, salary, resignations, etc. 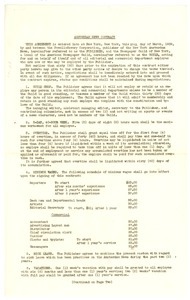 New York (N.Y.) - Establishing the terms and conditions for the Company's handling of W. E. B. 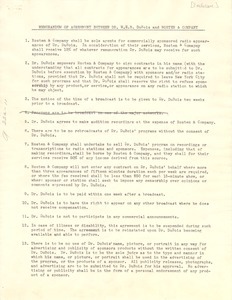 Du Bois's commercially sponsored radio agreements. 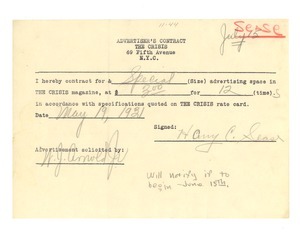 New York (N.Y.) - Yearlong advertising contract between the Crisis and Harry C. Sease. 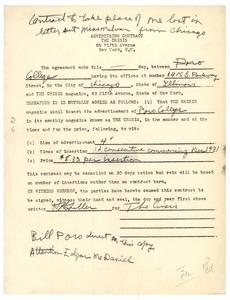 New York (N.Y.) - Contract between the Crisis and Poro College for advertising in the Crisis.